The Sonic Hour: All Episodes Online, Series 6 Next Sunday! 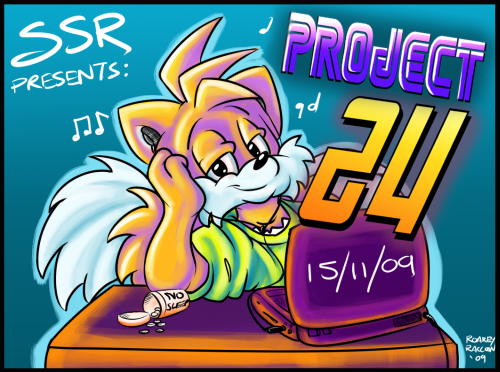 SEGASonic Radio is gearing itself for another Project 24 event (Sunday 5th December 2010), and to celebrate I’ve finally found time to update the podcast feed to The Sonic Hour, the radio station’s flagship live show. Presented by myself (Dreadknux) and Roareye Black, TSH has been going for something like 6 years now – almost as long as The Sonic Stadium itself! Since our very first episode in Christmas 2003, we’ve recorded a total of 93 episodes and at least 3 specials. We’ve had several presenter line-ups to join the ‘Dread x Roareye’ tag team, from Anarchy Rat in the early days to Jemnezmy most recently, and all kinds of special guests inbetween. Project 24 will also mark the first episode of Series 6 of The Sonic Hour. As always, we will be live on air between 6pm – 7pm GMT every Sunday (please check your timezones for your area), with #601 broadcasting on the 5th December. A sixth series, and the 100th episode right around the corner?! How in the hell did we ever get this popular? Is it our randomness? Our lame attempts at humour? Our insistent Sonic music playlist of awesome? Police Lieutenant Smith? Lyle the Bear? Rory’s Monologue? Dodgy Dread’s Emporium of Sonic Chintz? WongWatch? Or was it just Sonic Pants? Either way, you can now catch up with every single episode of the show! Subscribe to us on iTunes (US Link / UK link, or you can simply crack open iTunes and search for “The Sonic Hour”), hit the raw XML feed here, or just download each individual track on our Media portal. If you’re already subscribed to us on iTunes, right-click the podcast and select “Show all available episodes” and the older ones will appear. Due to popular demand as well, all Series 4 and Series 5 episodes have been re-encoded into AAC-HE format, cutting down filesize dramatically with just as much sound quality. The m4a files can be read in almost every music program – or at least, every music program worth using that’s for sure. If you’re struggling, use either iTunes or VLC. If you’re new to the delights of the very first regular radio broadcast in the Sonic community, why not give The Sonic Hour a spin? I warn you right now though: it’s NOT for the faint of heart, and it’s pretty explicit in content. You will most definitely lose several brain cells as well. Hit the jump for a shortlist of all 23 episodes added to The Sonic Hour’s archive: Continue reading The Sonic Hour: All Episodes Online, Series 6 Next Sunday! Back by popular demand! SEGASonic: Radio‘s day-long event returns for the second year running on November 21st! This year’s 24-hour LiveCast includes a whole host of regular and one-off shows hosted by SS:R DJs old and new, bringing you the best of Sonic the Hedgehog music as well as a whole host of prizes to be given out over the course of the day! 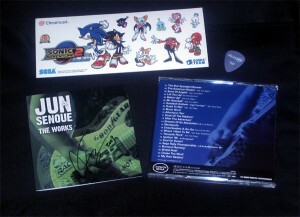 SEGASonic:Radio 2010 Program Line Up! The Sonic Stadium’s radio station SEGASonic:Radio is back with a brand new attack for 2010! For those not familar with the station, we provide a 24/7 music stream with all your favourite Sonic and SEGA tunes playing around the clock. Not only that, but we have a plethora of SS:R DJs broadcasting throughout the week bringing you news, reviews, chat and much much more! 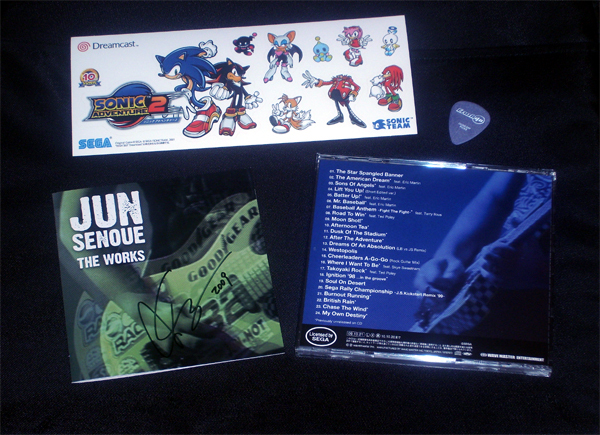 Continue reading SEGASonic:Radio 2010 Program Line Up! The Sonic Hour Returns! Sunday 12th July 2009! 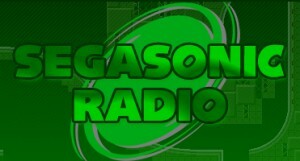 SEGASonic Radio will see the return of its flagship LiVECAST very soon! 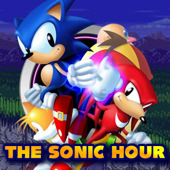 The Sonic Hour has been a weekly comedy podcast that covers the week’s events in Sonic the Hedgehog, with the presenters (Dreadknux and Roareye Black) generally getting off topic and talking about random things in the process. The plan was to bring back TSH in time for Sonic the Hedgehog’s 18th birthday (which, given the show regularly broadcasts on a Sunday evening, would have made that tomorrow night) but there’s another birthday sitting in the way of proceedings. Svend’s very own one! So while Dread celebrates his 24th birthday, you can relive classic episodes of The Sonic Hour with the brand new podcast feed! Click here to find the feed, or you can find the listing on iTunes (due to a technical hitch we have had to change the iTunes feed URL, so you may still be getting a 404 error if you subscribe that way. Should be fixed in a while). TSH has been going for as long as SEGASonic Radio’s been doing live broadcasts, so we’re periodically adding episodes over the next week. You can already catch the entirety of Series 1 and 3, with Series 4 being populated and the elusive, rare Series 2 coming very soon. The SSR website will also be getting updated soon with a page dedicated to TSH and all it stands for – keep an eye on SSR’s website for details. Series 5 will begin on SEGASonic Radio, on Sunday 12th July 2009 at 6pm BST (11am US Pacific time). Make sure you keep the date booked for listening to our live feed, and visit our live IRC chatroom at irc.surrealchat.net to chat while we relaunch the LiVECAST! See you then! SEGASonic Radio Returns, Summer of Sonic 09 Website Online! SEGASonic Radio was about the third Sonic the Hedgehog-themed radio station to hit the ‘Zone Radio Network so many years ago, but it easily became the world’s best-loved. With the recent server wipes and whatnot, progress on SSR has been slow, but I can happily announce that the new website is back online, and resident DJs are currently populating the pages on the site with details on their shows. I’m working on guiding them through on-site podcast publishing too, so you’ll be able to subscribe to a specific LiVECAST to listen to whenever you want. Check out the new SSR site now! Related to that, it’s been a while since Roareye Black and myself have done an episode of The Sonic Hour, hasn’t it? Well, the wait for Series 5 is almost over, as I can tell you that The Sonic Hour will be returning to SEGASonic Radio on Sunday 28th June, 6pm BST! Save the date in your calendar, kiddies. We’ll probably have breadsticks to commemorate the occasion. 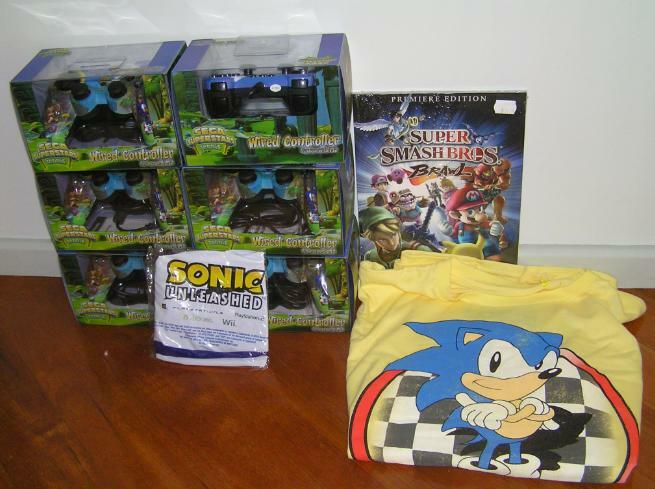 Now, the other big news this Summer is the return of the real-life fan convention known as the Summer of Sonic. Yes, it’s still happening, and yes it’ll still be on August 29th, 2009 in London, UK. We’re very close to finalising the venue, and we’ll be able to announce loads soon (in the meantime, I may tease some bits on my Twitter account!) – in the meantime, check out the new Summer of Sonic 2009 website! Click here to visit SOS 09! All good stuff, yes? Yeaaaah it is. I have one or two more announcements left to give you guys, but I’ll wait a few days before I let loose on details there. 🙂 Enjoy listening to SSR, check out the IRC Chatroom and get psyched for the return of The Sonic Hour, and get doubly-excited for the Summer of Sonic 2009! Hey guys, sorry for the lack of updates in a month or so. Things are kinda slow on the Sonic front anyway, save for the NOM Yuji Naka Interview that everyone at GameSpot seemed to misinterpret (apparently NiGHTS 2 and Burning Rangers 2 was in development). The SSMB was the first place to check this out and completely debunk those rumours, as it appears Naka-san actually said nothing of the sort at all. Oh, you crazy kids. Head to the SSMB for more mature Sonic discussion and lovin’. On another note, work on TSS “Interactive” (the codename I apparently seemed to have given the project) is well underway, but work’s stalled a bit to focus on more important things. Namely, the re-launch of SONIC NEWS, one of the best resources for the latest Sonic Team news. A team of reporters will now be on the case to bring you the latest of Sonic around the world, in the stead of pioneer Sonic_Hedgehogs. We’re working on the new SN mini-site, and should have a full relaunch within a week or so. I know, crazy innit. Of course, we will let you know closer to the time. This is how the celebrations will work out. Sunday 24th October 2004, at 5:00pm GMT (UK Time), the celebrations will all kick off at the SONIC SITE AWARDS 2004, for the final announcement of the winners! Who has won the Sonic Site of ’04? And who is the best Elite Sonic Site? Roareye and myself will host the show, which will also kick off a new series and season of programming for SEGASonic Radio, our radio station. SSR will merge stations so that Live and Streamed will combine. All you can want, in one station. The new series of popular show “The Sonic Hour” will debut when the SSA Ceremony begins. Fastfeet Media will return, which includes the return of the TSS FTP Service (after some considerable downtime), and a new BitTorrent system will be placed in the FFM halls. The SSMB Forums will get a makeover, plus a new skin to celebrate. Continue reading TSS’ 4th Birthday!